As encore leaders, we know ageism is the biggest obstacle to our success with funders, nonprofits, governments and people of all ages. This week’s galvanizing example: Knock the Vote, older adults in “greedy geezer” mode telling young people not to vote. Take your blood pressure medicine – then check out the video. Tone-deaf progressives at Acronym (a “radically-honest and value-infused digital organization….committed to electing progressive candidates”) and media firm Nail Communications run through the stereotypes to motivate millennial voters. It’s making waves – the video was an Adweek Ad of the Day choice. A racist, sexist or homophobic version? Unimaginable. Join other leaders to provide your radically-honest and value-infused perspective on Acronym’s Facebook and Twitter pages, and Nail’s Facebook and Twitter pages. Searching for the right words? Check out the Twitter feed of Ashton Applewhite, anti-ageism leader, 2016 Next Avenue influencer of the year and Network member for inspiration. Fortunately, Network members and allies are developing resources to fight ageism and promote the rights of older people. If you have an ageism-related resource to contribute to Old School – not about positive aging, productive aging, healthy aging, conscious aging or creative aging, but explicitly focused on ageism – Old School provides a form to add that to the site. You can also sign up for a newsletter giving you easy access to new material. 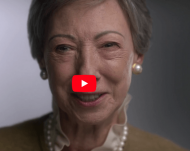 Ageing Equal campaign: From October 1st, the International Day of Older Persons, to December 10th, the 70th anniversary of the International Human Rights Day, Age Platform Europe, the voice of older persons at the European level, is organizing a 70-day international campaign against ageism. This link takes you to background information for the campaign. It’s structured around 10 thematic weeks reflecting the diversity of experiences in older age and the multiple discrimination experienced by different groups as they grow older. 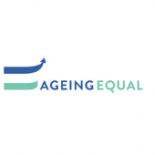 Ageing Equal invites everyone to become vocal about this unrecognized denial of human rights, and hopefully will draw a path to create a society for all ages.